Sunday, October 22, 2017 – 11:00 a.m. to 5:00 p.m.
Ronald Sukenick famously said, “If you don’t use your imagination, somebody else is going to use it for you.” That somebody else is the mass media, which feeds us narrative, character, and even structural clichés and stereotypes throughout our lives. Cliché becomes the first thing we reach for when writing a story, describing a character, or setting out a plot. The problem is that anyone can write a clichéd story—publishers don’t need your work if your work is identical to everyone else’s. In this workshop, we’ll explore the history of genre fiction as an aspect of industrial manufacture and mass culture, and work on a technique for finding and using our own imaginations to escape and even reverse the ubiquity of cliché. Nick Mamatas is the author of several novels, including I Am Providence and the forthcoming Hexen Sabbath. As an anthologist, he co-edited the Bram Stoker Award-winning Haunted Legends with Ellen Datlow, the Locus Award nominees The Future is Japanese and Hanzai Japan with Masumi Washington, and the hybrid cocktail/flash fiction book Mixed Up with Molly Tanzer. 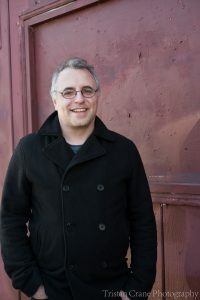 Nick has also published over one hundred pieces of short fiction in venues such as Asimov‘s Science Fiction, Tor.Com, Best American Mystery Stories, and New Haven Review. He currently edits the Haikasoru imprint of Japanese science fiction and fantasy in translation, and Studio Ghibli licensed titles, for VIZ Media. Nick’s fiction and editorial work have earned Hugo, World Fantasy, Locus, Bram Stoker, and International Horror Guild nominations. Locus Writers Workshops: Locus Magazine has been co-running a writing workshop in Seattle around the Locus Awards Weekend for the past few years and is excited to bring the class to the Bay Area. Past instructors include Charlie Jane Anders, Gail Carriger, Christopher Barzak, Carrie Vaughn, Daryl Gregory, Stephen Graham Jones, Paul Park, and Connie Willis. Exact workshop location and other details will be emailed after registration. Additional questions? Please e-mail Locus.